It’s that time again, the next Cars & Coffee is on the 2nd of July. Bring along your exotic, rare, classic, vintage, race or historic vehicles from 7:30am. We’ll be there rain or shine. Hopefully shine, unlike June! Thanks again to the following businesses for their ongoing support. 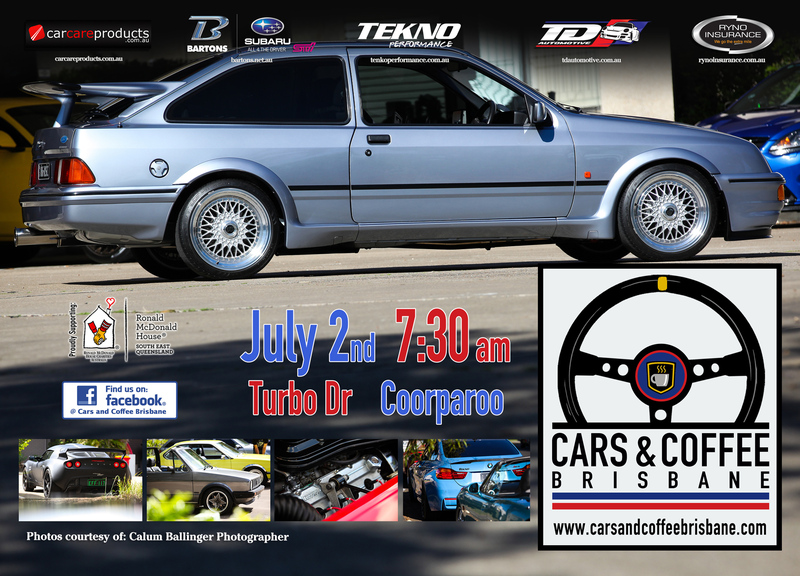 – TD Automotive, Ryno Insurance Services Pty Ltd, Car Care Products, Bartons Bayside, Ronald McDonald House South East Queensland and a warm welcome to our newest supporter Tekno Performance. Keep in mind this is a family event, so please drive and behave responsibly. There are a couple of businesses trading on Saturday mornings, so please refrain from parking at The Bone Clinic 26 Turbo Drive, or the Florist at 2/54 Turbo Drive. Also, please dispose of your rubbish and try and leave the location as you found it.